The Rock Hall Yacht Club welcomes all Laser sailors 35 & up to join us for our annual Hard Rock Laser Masters Regattas on Saturday, October 1, 2016. We’ll have the best weather possible, with good fall winds on order, and we open our club to all Laser sailors and their friends and family. We have easy beach launching, plenty of parking, and the wonderful Chester River to sail on! Please contact regattas@RockHallYachtClub.org or 410-775-8225 with any questions. The RHYC welcomes all Laser Masters sailors for a great fall day of sailing on the Eastern Shore. We have planned excellent racing with PRO Dyer Harris and his Race Committee, then wrapping up the day up at the clubhouse with all the facilities and the bar open and awards ASAP after racing. 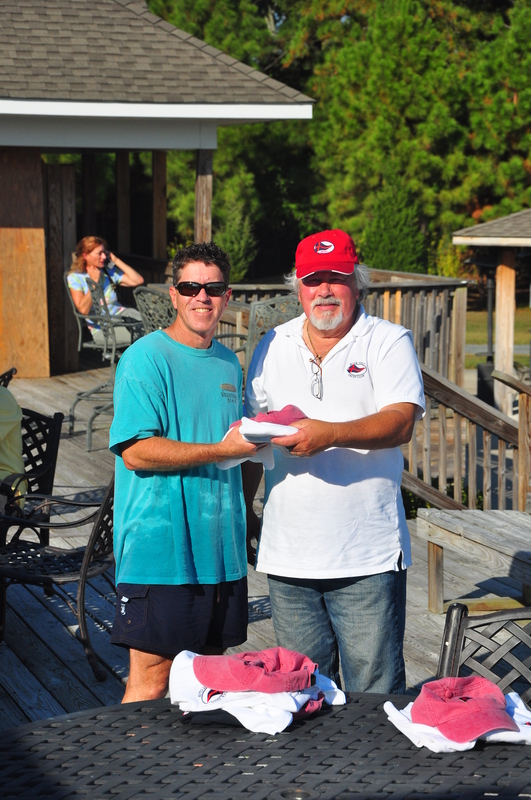 Hope to see a lot of Masters out there in the Chester River on Oct 4! On behalf of Rock Hall YC and the Race Committee we would like to Thank everyone who came out on Saturday 5 October 2013 to the RHYC Hard Rock Laser Master Regatta. Our summer like warm weather with temperatures in the mid 80’s, beautiful blue sky’s and light winds that ranged from 2 – 5 knots provided for easy sailing conditions. All five races on the Windward – Leeward courses kept the fleet of 20 boats finishing within 3 minutes or less of eachother. The light winds and outgoing tide was a challenge on the first race. But during the race the wind filled in from the South and remained steady throughout the rest of the day. Racing in each of the front, middle and back pack was keen. 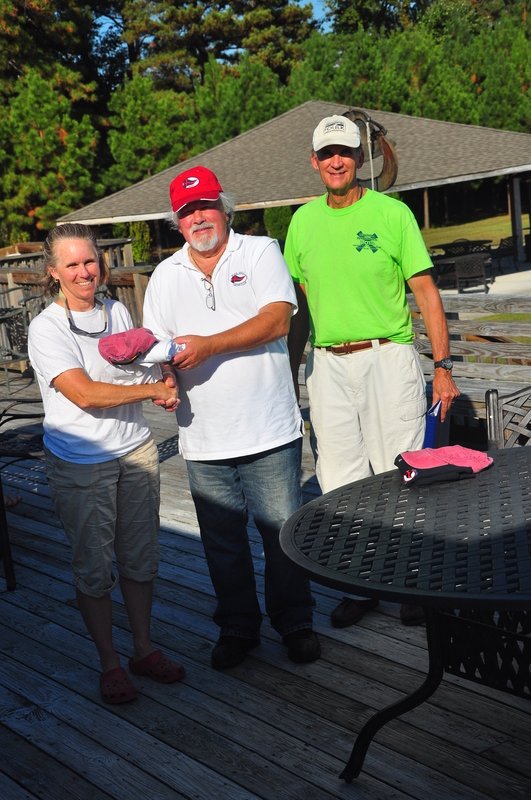 Susan Taylor a Grand Master was the overall regatta winner. She had very tough competition among the other leaders Had Brick, Mike Schmidt, Jim Knab, Bill Lawson and Rick Landell to name a few. Mike Schmidt the top Master level finisher placed 3rd overall and finished 1st in race #2. 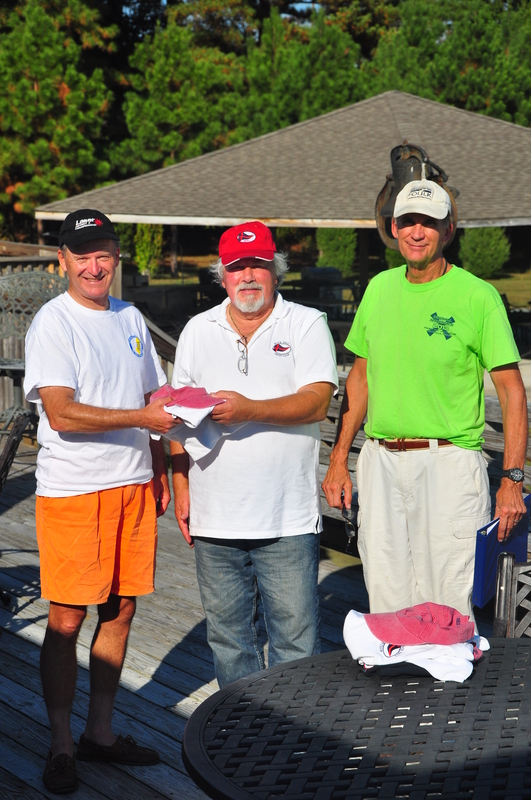 Jacques Kerrest as a Great Grand Master who placed 6th overall best finish was 4th in Race #2. Ben DuPont and Faye Flam as leaders of the middle pack used the shifting winds of the 1st race to their advantage coming in 1st and 3rd and finishing 9th and 8th overall. Rounding out the middle pack Dave Magno, Dennis Russom, Jeffrey Moore, Steven Schmidt and Jolie Homsher kept the racing tight and exchanging positions among themselves were hard fought. Fred Scheafer who finished 7th in race #1, Doug Hayes, Chris Bolton, Michael Faubel and Christine Mooney rounded out the back pack where the racing was just as challenging as the front group. Positions changed and David Mooney the youngest competitor as an Apprentice gave the back pack a good run for the money. After a wonderful day on the water and the quick repacking of boats cool drinks were enjoyed at the club bar, followed by the awards giving by the clubs Commodore Joe Skinner and race’s PRO Dyer Harris. I would like to Invite you and any of your Laser friends to join us at Rock Hall YC this Saturday Oct 5th for the Laser Master Regatta. Come on out to the Eastern Shore and enjoy a beautiful day on the water. The weather is predicted to be in the mid 80’s and bay temps are still in the 70’s. We have lots of parking and easy beach launching. After racing you can come into the club and enjoy a bite to eat and drink. I have included the NOR and SI so you can review registration information and cost details. Rock Hall Yacht Club’s Laser Master regatta is coming up on Saturday, October 5. Online Registration can be found here along with the Notice of Race. RHYC is looking forward to hosting an excellent fall laser masters regatta on the eastern shore and hope you will come join them! We invite all Laser sailors over age 35 to the Rock Hall Yacht Club for this event. We have had a great regatta with good fall winds the past 6+ years. Last year we had 16 boats turn out and we’d love to see more this year! 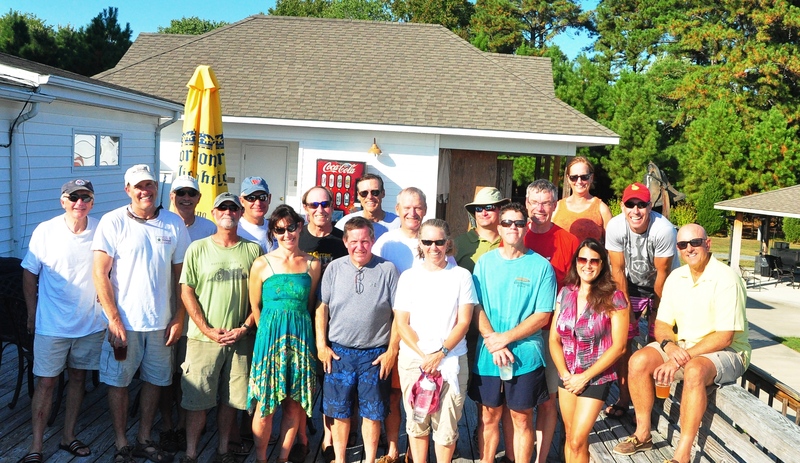 The Rock Hall Yacht Club is a great place to sail with lots of open space, easy beach launch, and excellent sailing venue in the Chester River. RHYC offers a full service clubhouse with full bar and a new Fall menu. Come check us out and enjoy great Eastern Shore winds, racing, scenery, and hospitality. Any questions can be directed to vicecommodore@rockhallyachtclub.org or 410-639-2182.